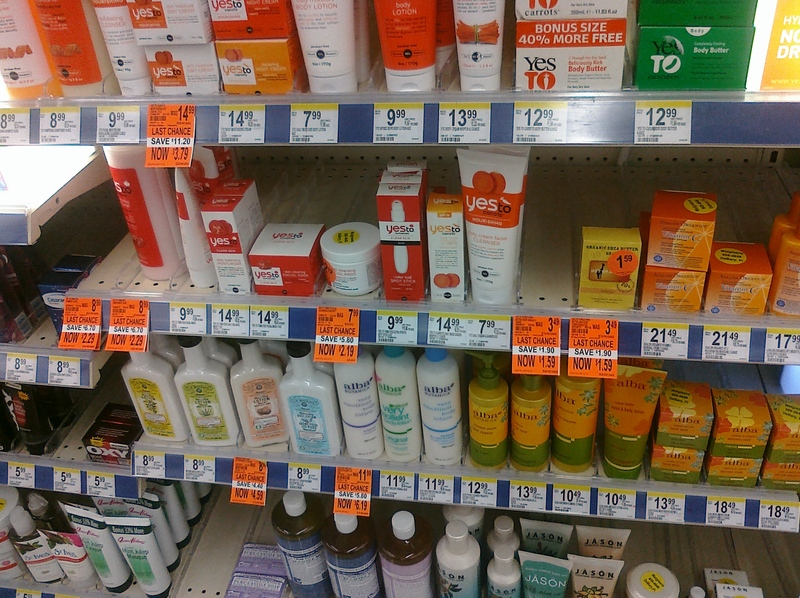 I now know that Walgreens has a small Organic/Naturals section and I accidentally stumbled upon an orange tag sale on some of these products such as Yes To Products. If you happened to print $2/1 Yes to Carrots, Cucumbers or Blueberries body product (now out of prints) and haven’t used it yet it would make for some nice Yes To Products for around .19¢. 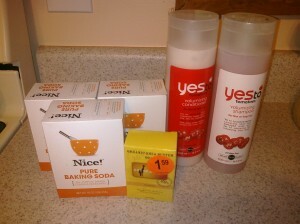 I bought Yes To Tomatoes Shampoo and Conditioner for $2.19 each and Out of Africa Organic soap for $1.59. I also stocked up on some Nice! 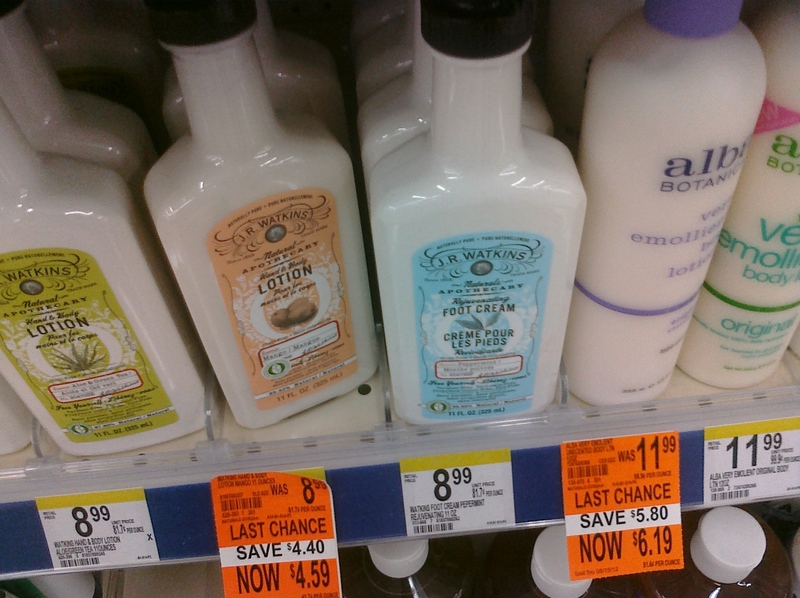 Baking Soda at Walgreens for .59¢ with an in ad coupon. They do this sale regularly and Baking Soda is awesome for many natural cleaning and household uses. Thank you for linking up at Allison’s Durham Deals. If you’re interested, here’s a link to a blog hop party I am hosting for money saving blogs.